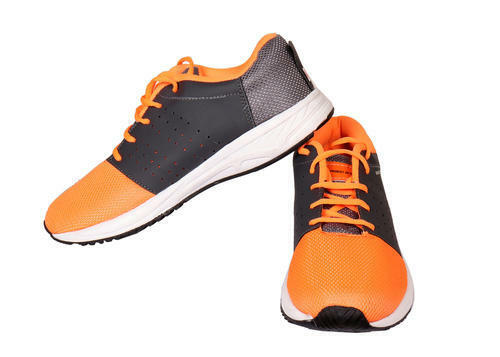 Owing to our expertise in this field, our firm is engaged in supplying an extensive array of Orange Sports Shoes. Raj International Exports, an ISO 9001 : 2015 certified company is one of the finest Manufacturers, Exporters, Trader and Suppliers of supreme quality range of Sports Goods and Balls, began its operations in the year 2003 having head office at 1372 sector 44 b Chandigarh and manufacturing at Jalandhar - India also famously known as the city of sports goods. The offered products are exported All over the world. The offered range comprises the finest Soccer Balls, Rugby Balls, Volley Balls, Net Balls, Basket Balls, Cricket, Hockey Equipment and Boxing Gloves, having a high demand in the market. Making of this range is done in compliance with the set industry norms and guidelines, utilizing the finest raw materials and modern machines. This ensures the product’s finishing, strength and durability. Further, the range is known to be marked at the most reasonable rate possible. Our highly advanced state-of-the-art infrastructure, has been laced with all the necessary machinery and equipment, needed for the attainment of several of the firm’s predefined goals and objectives. For reasons of maximizing our reach in the market, the facility undergoes regular up-gradation. The facility has been parted into several highly operational units, for reasons of attaining smoother and effective management of the firm’s predefined goals and objectives. In addition to this, our highly ethical work practices have helped us generate a huge client base.